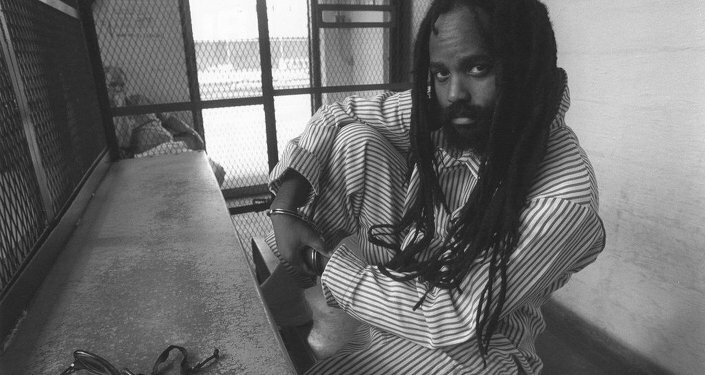 Mumia Abu-Jamal, who has been in prison in Pennsylvania since 1981 for killing a policeman, will soon appear in court again, to pursue a new legal strategy that argues that Ronald Castille, a former district attorney whose office prosecuted Abu-Jamal’s case, was improperly involved in his appeal after becoming a state Supreme Court Justice. Dr. Johanna Fernandez, a professor at Baruch College, an activist with Campaign to Bring Mumia Home and the maker of the film "Justice On Trial," which you can check out this Thursday at 7:00 p.m. at the Maysles Cinema in Harlem, New York, joined Radio Sputnik's Loud & Clear Tuesday to discuss Abu Jamal's case. ​"This is pretty much the linchpin to Mumia Abu-Jamal's freedom through a new trial, essentially, and I think it's important to take a step back and say that this is not just about Mumia… you probably know that political imprisonment has been in the press as of late," Fernandez told hosts John Kiriakou and Brian Becker. "Mumia is the most recognized black political prisoner in the world. If there is an opening in this case, other black political prisoners will come home. The issue that is being heard on August 30, the Williams v. Pennsylvania issue, is an issue involving judicial bias. Your audience might not believe it, but about two years ago, for the first time in the history of the US, the Supreme Court articulated the parameters and conditions wherein one might determine what judicial bias means. And they determined that [if] a prosecutor, later turned-judge, was presented with a case he had helped prosecute, he would have to recuse himself because of the obvious case [of bias]," Fernandez continued. "In this case, in Williams v. Pennsylvania, the judge who the Supreme Court determined was biased was Ronald Castille, the same exact judge involved in Mumia's case who served as a prosecutor in Philadelphia later became a judge in the Pennsylvania Supreme Court, reviewed Mumia's appeals and denied every single one of them. That is what is going to be heard on August 30." Mumia Abu-Jamal, who was convicted of gunning down Philadelphia police officer Daniel Faulkner in 1981, is a journalist and former member of the Black Panther Party. He has maintained his innocence since he was arrested after the killing of Faulkner and has been labelled by many as the most prominent political prisoner in the United States. Much of the new hope among Abu-Jamal's supporters comes from the 2016 Pennsylvania Supreme Court admonishment of Ronald Castille, who dealt with the cases of Abu-Jamal and five others, both as a district attorney and later as a Pennsylvania Supreme Court judge. This dual role, according to the US Supreme Court's 2016 ruling in Williams v. Pennsylvania, was a violation of court procedures. Since then, the cases of Abu-Jamal and the five others have been allowed appeal hearings. "This is now a federal law. This gives you a bit of insight into the insanity of the criminal justice system. There are dozens of cases in Pennsylvania alone that are coming to the courts with this exact claim. Ronald Castille was not only the prosecutor, he was the top gun prosecutor in Philadelphia," Fernandez said. "The city's establishment had been historically seeking Mumia's execution. They called him a cop killer. This is really a charade. Justice is really impossible in a court system that's propelled and pushed forward by police," Fernandez added. Abu-Jamal was sentenced to death the year after his arrest and conviction in 1981. He was to be executed on the governor's orders in both 1995 and 1999, but both executions were stayed. In 2011, his sentence was changed to life without parole. Will Mumia Be Freed? Iran Deal to End? Time for Open Borders?